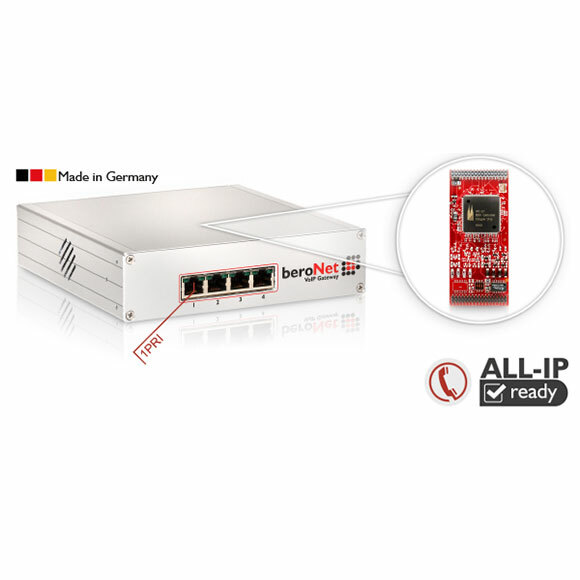 The beroNet 1 PRI VoIP Gateway (BF4001E1Box, BF16001E1Box, BF4001T1Box, BF16001T1Box) contains one PRI (S2M, E1 or T1) port. 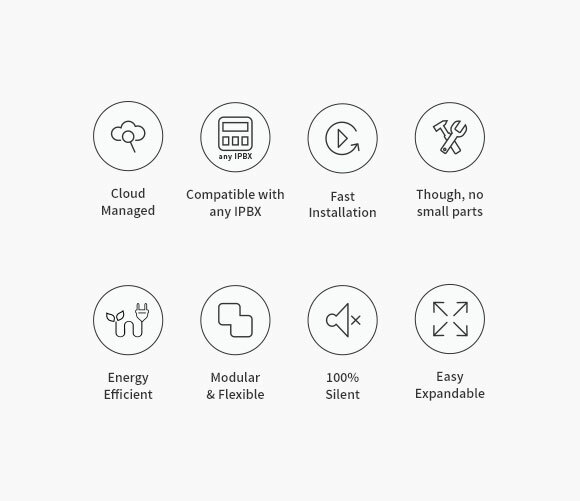 The port can be operated individually in NT (Network Termination) or TE (Terminal Equipment) mode. A fax server can be also connected by adding a virtual CAPI. The Gateway is compatible with SIP. 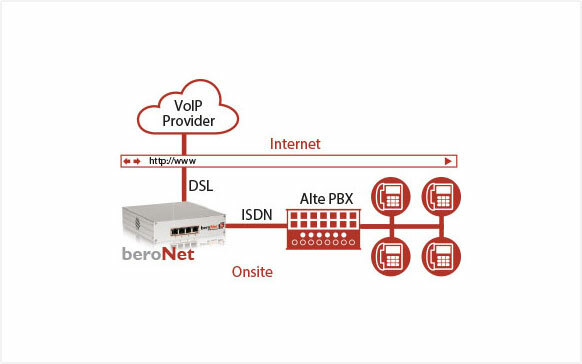 A connection to common PBX Systems is possible via the ISDN interface.